The reveal of the next generation of the 10 Best-winning Mercedes-Benz GLS is finally right around the corner, with the full-size SUV set to have evolutionary styling but be packed full of the latest tech and ride on a new platform. Now, Dietmar Exler, CEO of Mercedes-Benz USA, has confirmed to Automotive News what we’ve been expecting for a while: an ultra-luxurious Mercedes-Maybach version of the GLS is happening, and it will be built in Vance, Alabama, alongside the standard GLS. 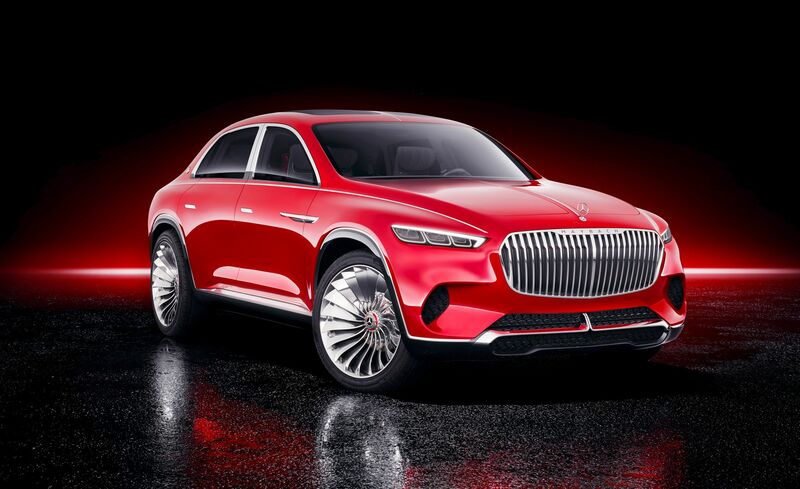 Mercedes previewed the possible Maybach GLS with the Vision Ultimate Luxury concept (pictured above) last spring. Don’t let the weird sedan roofline and trunk fool you-imagine the concept with a regular GLS’s rear end and slightly less concept-y details, and you’ve got what the production SUV will look like. The Maybach GLS should make its debut later this year, most likely in China, before going on sale in 2020. We expect it will be sold in GLS560 guise, using the same twin-turbo 4.0-liter V-8 as the Maybach S560 sedan. Sadly, there’s almost no hope for a GLS650 with a twin-turbo V-12, but an all-electric version could be possible. With the 2019 Maybach S560 4Matic sedan starting at $171,745, we think it’s a sure bet that the Maybach GLS will start at around $200K. That would make the Maybach GLS the most expensive passenger vehicle that is built in the United States, beating out the $159,300 Acura NSX. Exler told Automotive News that the Maybach GLS will be “a halo car” that will “help build the Mercedes brand,” adding that there is the potential for additional Maybach models in the future, most likely based on Benz’s existing “top luxury cars.” Maybach G-wagen, anyone?